The cash that flows from New York City's securities industry boosts retail and helps fill government coffers. Beware, though: Smaller payouts can mean tougher times ahead. The first quarter of the year is the time when New York City’s securities industry hands out performance-based incentive payments — and lots of that money ends up on Long Island. 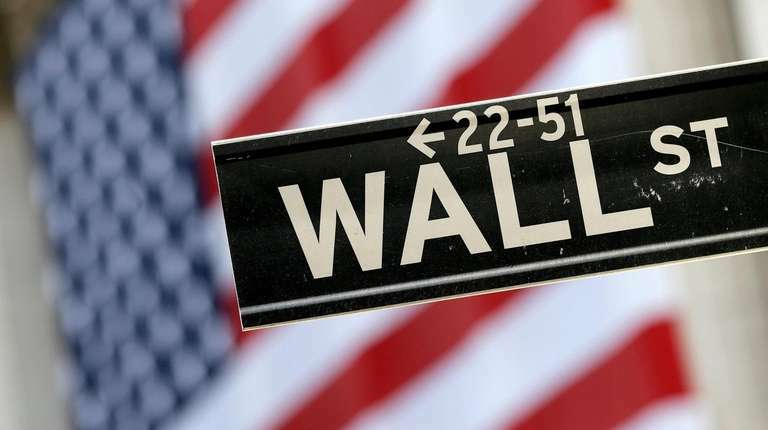 Every March, the state estimates Wall Street’s average bonus based on tax withholding trends during the bonus season, and the 2018 figure should be coming out Tuesday from state Comptroller Thomas DiNapoli. While the average size of the bonuses isn’t the be-all-and-end-all for the Island, bigger is better. New York City’s securities industry counted nearly 177,000 employees in 2017 — 5 percent roughly of the city’s 4.4 million private-sector jobs but more than 20 percent of the $346 billion in private-sector wages, according to DiNapoli’s office. The impact is astounding because Wall Street is such a small sliver of the state’s job pie. While the comptroller’s office doesn’t break down where the employees live, nearly 69,500 Long Islanders work in what the federal government describes as the financial activities sector, which includes the securities industry as well as the insurance and real estate businesses. In 2017, Wall Street’s average bonus came in at $184,220 — a 17 percent increase from the year before and the highest in a decade after adjusting for inflation, DiNapoli’s office said. Bonus and salary together, the average compensation package stood at $422,500 — the highest of any major industry in the city. The comptroller’s office ran the 2017 year-end numbers for Long Island’s securities industry, too, but didn’t break out bonus money. The average salary, though, was nearly as high as the city’s: $389,000, a 10 percent jump from 2016. DiNapoli pointed out that the Island’s average was pushed up by Suffolk’s average of $599,800, the highest of any county in the nation. All that cash is taxed. Everybody gets a bite of the apple: the federal government, the state and localities. On Long Island, the money flows into municipal coffers mostly through sales and property taxes, according to John Rizzo, chief economist for the Melville-based Long Island Association business group. Jason Forwood and his wife are Manhattanites looking for a weekend home on the East End. And he’s thinking about using his bonus from GFI Group as a down payment for one. The global financial service firm also gives bonuses in September, he said. Their two-bedroom, two-bath apartment at Wall and Water streets isn’t far from Forwood’s office, but 1,400 square feet is a bit tight with their kids, 4 and 2. Forwood’s wife has scoped out properties online. The couple figure they’ll have to spend up to $1.5 million to get what Forwood described as “something decent,” he said. But before they buy, Forwood wants to test the waters. As a manager, Forwood helps set bonuses for about 45 other employees. He knows from casual conversation that some use their money to pay down debts or take a vacation. He does his best to avoid the topic, though, because he doesn’t want any pleas for a bigger payout. Renu Dalessandro, of Woodbury, is doing something practical with the bonus she gets as a bank’s marketing chief: She’s wiping out her daughter’s college debt. “I don’t want her to have any student loans when she graduates in May, so my gift to her — our graduation gift is — she has no loans,” Dalessandro said of her daughter, who attends SUNY Plattsburgh. In the past, though, Dalessandro has used her cash to help re-do her home. Around bonus season, Brad Gross sees a spike in watch sales at his family’s jewelry business in Garden City. Wall Streeters seem partial to Rolexes, said Gross of H.L Gross Jewelers, which the Gross family has owned since 1910. “Some of my guys come in over the years who I know work on the Street, pretty much tell me that it’s bonus time, and they want to give themselves something nice for all their hard work,” Gross said. His father, Michael Gross, said bonus-getters tend to buy watches that average $10,000 to $20,000. Neither Nassau nor Suffolk studies the impact of Wall Street bonuses as the state and the city do, but there isn’t any doubt that the extra cash gives a boost to both the counties and local businesses. “A robust stock market and bonus time always benefit Nassau County. Many Wall Streeters live and shop in the county. The finance sector contributes to outstanding spending levels,” said Karen Contino, a spokeswoman for County Executive Laura Curran. Western Nassau is home to many Wall Streeters because of its easier commute to the city, said Martin Melkonian, an adjunct associate professor of economics at Hofstra University. “That’s a very significant chunk of money that is going to be handed out to many of the residents in Garden City, in Manhasset, in Great Neck, in Rockville Centre, the areas that are most likely to see the influx of that money,” he said. Not only do the counties get tax revenue, flowing in as local aid from the state, but the counties and the state also get sales tax revenue from the high-ticket items that Wall Streeters often buy with their bonuses. E.J. McMahon of the Empire Center for Public Policy, a fiscally conservative think tank based in Albany, breaks it down: The state has a 4 percent sales tax, and Nassau and Suffolk each have a 4.25 percent sales tax. A Wall Streeter with a bonus who buys a $100,000 car pays $4,000 to the state and $4,250 to the county where he or she lives. If the car dealership is in Glen Cove and the buyer lives in Huntington, for example, the county money goes to Suffolk, according to McMahon. How the money is divvied up in Suffolk is straightforward, as he explained it: The county shares its revenue with the municipality where the buyer lives, if the municipality has a police force. Nassau gets more complicated, said McMahon, who is the center’s research director. In the same example, a third of the county’s $4,250 goes to a fund for the three towns, Hempstead, North Hempstead and Oyster Bay; the two cities, Glen Cove and Long Beach; and villages. The money to the towns and cities is distributed quarterly per capita, based on census. The villages get a fraction of what is left after the distribution, he said. The MTA gets 0.375 percent, he noted. Besides watches and luxury autos, Wall Streeters also drop their extra cash on real estate. A popular spot is Long Island’s East End, said real estate agents and builders. The bonuses often go for properties in the Hamptons — sometimes as a second home, sometimes as an investment, sometimes a mix of both, said Mary Giaquinto, a partner in Plum Builders, who focuses on the East End. “They may well put it into East End real estate, and then they’ll turn around and rent it for a few years because they can’t afford to carry it,” Giaquinto said. Government at all levels benefits from bonuses, financial experts said. The IRS and the state each take out personal income tax. Two municipalities, New York City and Yonkers, even have their own personal income tax, said Morris Peters, a spokesman for the state budget division. Bonuses, Morris said, are taxed at the same rate as wages, depending on a filer’s income bracket. Married couples filing jointly is the most common category in high-income ranges, McMahon said. The marginal rate is 6.85 percent for a married couple filing jointly that earns $323,200 or more and jumps to 8.82 percent if the couple’s income hits $2,155,350 or more, state charts show. What New York collects in personal income tax goes into the general fund, which is spent on an assortment of things including roads, parks and the state university system, according to Peters and budget documents. A portion also is funneled to municipalities. About 41.5 percent of the state budget goes to local aid, including human services, transportation and schools, he said. “There are all kinds of municipal projects that need doing,” Melkonian noted. When the economy is doing well, and Wall Street is too, the state rakes in more and doesn’t have to raise taxes, add fees or cut services, the experts said. But when times get rough, like during the financial crisis, smaller bonuses take a toll. By October 2008, for example, the securities industry lost 16,300 jobs, which had been generating personal income tax revenue for the state. The bonus pool stood at $17.6 billion, down by nearly half from $33 billion the year before — the largest decline on record in absolute dollars, records from the comptroller’s office show. The fallout hurt. The lower bonuses cost the state nearly $1 billion in personal income tax revenue — from $2.3 billion in 2007 to roughly $1.3 billion in 2008, the comptroller’s records show. Such a huge loss helped widen New York’s budget gap, from roughly $2.2 billion in fiscal 2008-09 to $17.9 billion in fiscal 2009-10, according to budget division records. In his budget blueprint in 2008, then-Gov. David Paterson suggested 88 tax increases, including ones on sugary drinks and downloading digital entertainment, and called for belt-tightening, from cutting local aid to eliminating homeowner rebate programs to laying off hundreds of state workers. “Maybe we should have thought about this when we were depending on what we thought was inexhaustive collections of taxes from Wall Street — and now those taxes have fallen off a cliff,” Paterson said in his budget message. Today, Wall Streeters are generating more tax revenue again, but Gov. Andrew M. Cuomo and New York City Mayor Bill de Blasio both have sounded the alarm about Wall Street. At the first of the year, Cuomo noted the market’s rocky December could affect tax revenues and de Blasio worried out loud that the city relies too heavily on Wall Street. In 2017, the securities industry accounted for $3.2 billion of city tax collections, or 6 percent, according to the comptroller’s office. Melkonian, the Hofstra professor, offered some advice to government officials.